Interested in a day trip in the heart of Mumbai? Searching for the location suitable for a family picnic? Then this article which describes the Aarey Colony Mumbai may be useful to you. Here I have described the location, in brief, its history, how to reach, and what to do. This is an ideal one day getaway in Mumbai, reachable from South, Western, Eastern and Harbour parts of the city. If you are looking for a picnic in a green place, in the city limits and want to inhale clean air, then Aarey colony Mumbai will suit your requirement. Read on about how to plan a day trip to this beautiful green location here. Chhota Kashmir is located in Aarey Colony and is an excellent and budget picnic destination in Mumbai but yet out of the hustle and bustle of the city. This place is known for decades for the milk farm set up by the Dairy Development Department , a state government initiative. It has been supplying Aarey milk and milk products for decades. Did you know that the Aarey colony was established in 1949, just two years after independence? Aarey Dairy was inaugurated in 1951 by Prime Minister Jawaharlal Nehru to provide packed milk and education via its Institution. The main objective of erecting this colony was to shift the cattle from the city limits, provide cheaper and better milk and maintain cattle using scientific and modern animal husbandry practices. You can find Aarey stalls across the city selling milk and milk products like flavoured milk,ghee, shrikhand, peda etc.. The colony area of 1200+ hectares houses 32 cattle farms, with 16000 cattle. The place draws local and outstation tourists in all seasons all through the year. Maharashtra Public Works Department has built a road which connects Western Express highway to Powai. The place is green because of tall trees growing along all the roads and grass and fodder cultivation in the campus. The land is allocated to various central and State government organisations and institution, namely the Central Govt. Institute (Central Poultry Farm, Modern Bakery, NDDB, RBI) and State Govt. Institutions ( Mumbai Veterinary College, SRP, MHADA, MCGB, Film City, Fishery). Aarey Colony is located on the Mumbai-Ahmedabad highway between Malad and Goregaon. The place is accessible from Goregaon railway station by auto-rickshaw at a distance of 5kms. Alternatively, you can take 326, 341, 450, 451, 460, 479 buses which pass through Aarey Dairy Milk Colony. If you want to see many places in the colony then it may be best to take your own four wheeler. We have even driven by a two-wheeler from Mahim before the rains commenced this season. If you are taking a Mumbai Darshan bus, then Aarey Dairy Milk Colony will be on the itinerary. Running and jogging: If you have a penchant for running , then go a little early and take a long walk or a jog. 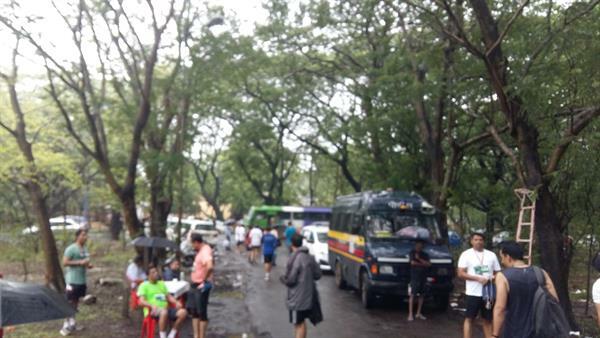 The Running and Living group organise a Half Marathon every year in Aarey colony. In the early morning, you can see many people walking, running or jogging along various roads in the colony, breathing fresh air and enjoying the greenery. 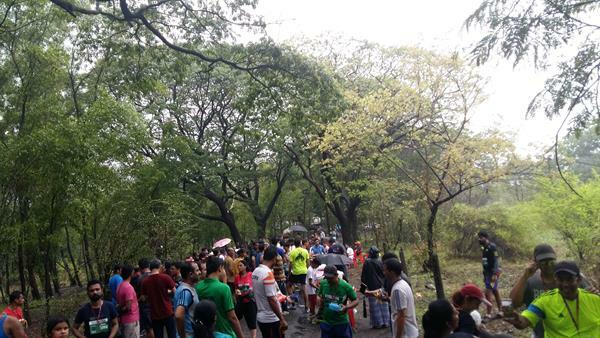 People throng this place from Goregaon, Dindoshi, Marol and MIDC area to enjoy the peace and serenity in the forest. Chhota Kashmir: A beautiful garden located at a distance of 3-4 km from the Goregaon side gate and on the top of a small hill. Hence it is rightly called tiny Kashmir. It overlooks the remaining part of the Aarey Colony. You may have come across this garden in many Bollywood movies. The green serenity will fill your mind with calmness. The garden is also heavily used by romantic couples who can spend some time in solitude in the colourful gardens. Chhota Kashmir has enough green and dry shade, basic amenities like food and water and ample place for opening the picnic baskets and bags, and enjoying time with family or friends. Kashmir Lake: The Kashmir lake of 4 acres is bang opposite Chhota Kashmir and right across the road. You can enjoy boating in the two or four seater colourful row boats or paddle boats in case it is not too sunny or rainy. The rides are available between 11 am to 3 pm and are reasonably priced within 50 minutes for 30 minutes in the water. The vivid colours of the boats stand out among the silence of the birds chirping in the trees. The maintenance is just to the mark but basic facilities are available. Aarey picnic pond: Little further from Chhota Kashmir, along the same road, is the Aarey picnic pond. The pond is open from 8 am to 7 pm on all days. The pond has been there since 1985 and is surrounded by huge thick trees and is an apt place for enjoying a fun-filled picnic. The pond water is beyond access to people, the surface is filled with green algae and lacks maintenance. Bird watching: The monsoons are just beautiful in the colony and attract many migratory birds. Lots of wildlife lovers take up their cameras and visit the colony for watching birds. Cattle grazing: Parents often bring their children to the colony to view cattle grazing. Aarey Milk factory: the tours happen from 4pm to 6pm and are a great learning experience for children. Many little booths in the colony sell milk and other dairy products along the 7km stretch. The colony has a parking lot and restrooms. But beware of the wild animals lurking around since there have been few cases of leopard attacks. Overall a one day trip to Aarey Colony is worth it for family and friends. Green Aarey Colony in Mumbai is a perfect destination for natural lovers. I made a visit to Aarey Colony when I was in Mumbai. A drive through Aarey Colony is an awesome experience.